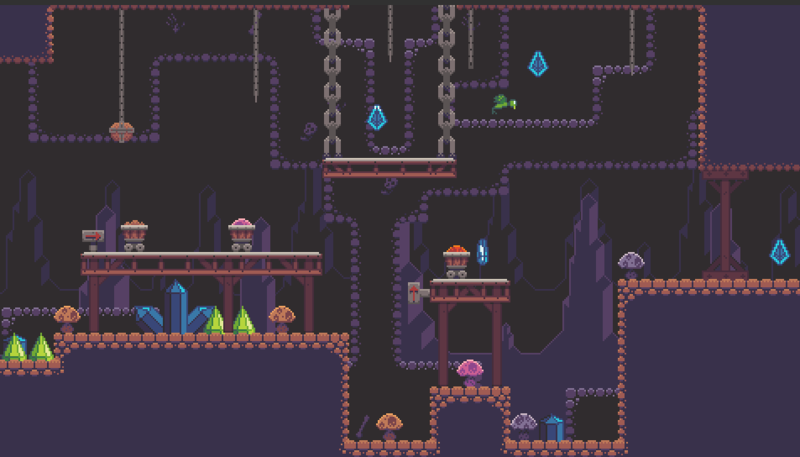 An asset pack of sprites for creating stylized cave scenes. 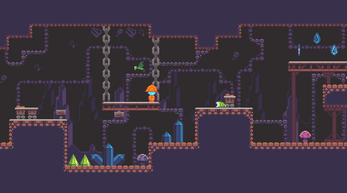 Ground, background and platform tiles. 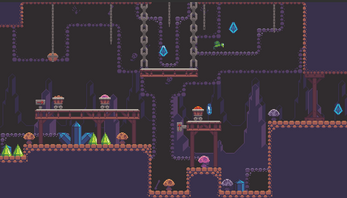 Props, including mushrooms, crystals, and mine carts. 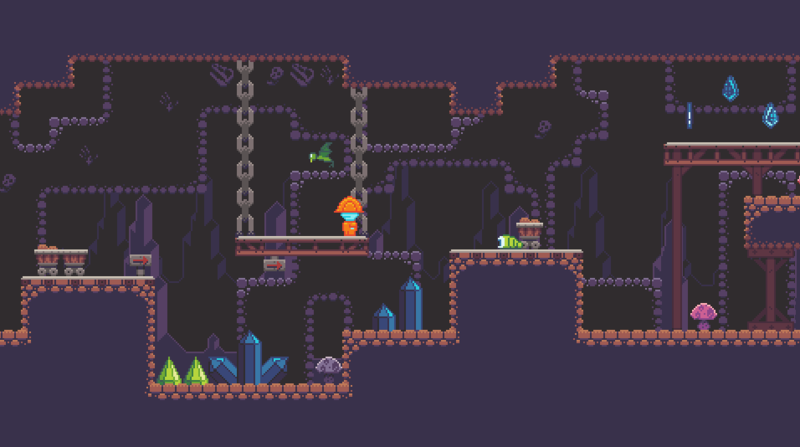 Animated bat and grub enemies. Animated coins. 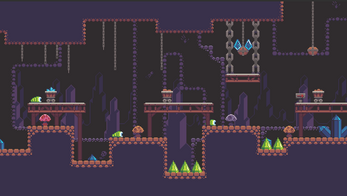 Level tiles, enemies and props are 16x16p, the main character is 24x24p (in a 32 x 32 grid). 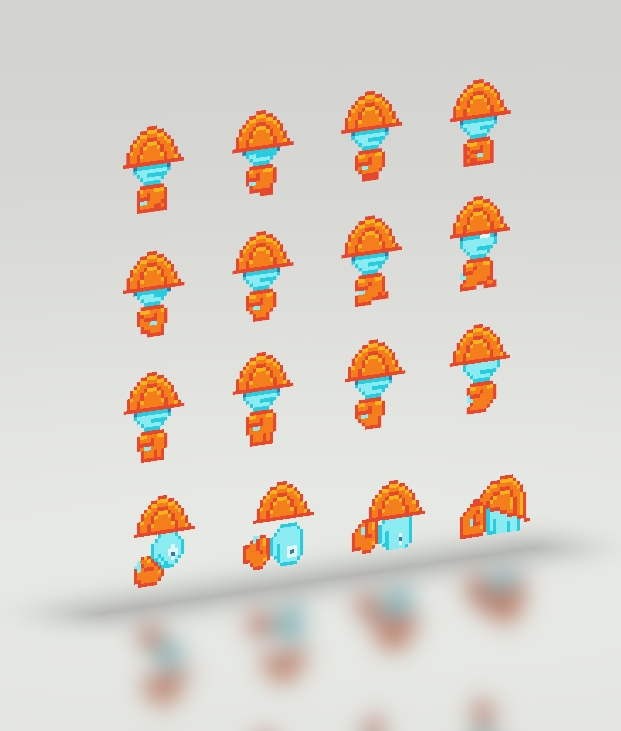 These sprites may be altered and/or be used in a commercial project. You do not need to credit me, but it is appreciated. I'd also love to hear about any projects these sprites have been used in. You may not redistribute the original images. 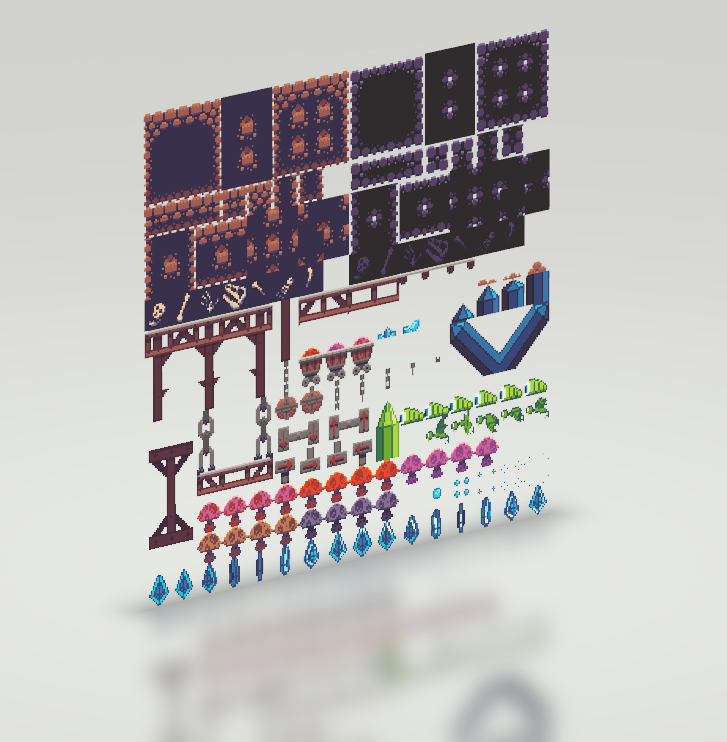 Please Note: This page has a demo scene using only the sprites from this pack, however the pack DOES NOT include any of the source files of the Unity project. 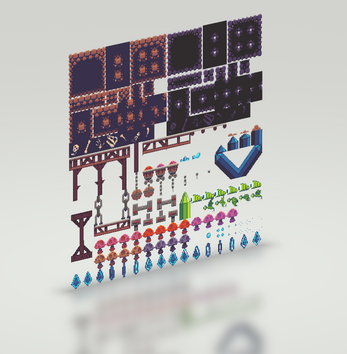 The asset pack is sprites only.